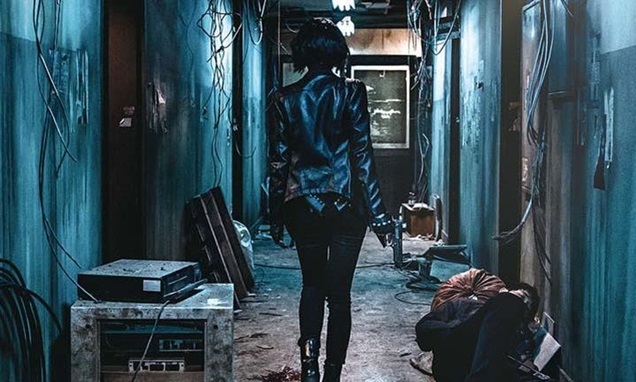 One of the most expected productions of 2017, "The Villainess" by Jeong Byung-gil, director of "Confession of Murder", had all the prerequisites of becoming one of the best action films of all time. Let us see if it succeeded. The movie starts with an extremely impressive action scene, where we watch an unknown assailant attacking swarms of enemies in a building, butchering, maiming, breaking, kicking and punching everyone who enters the scene, in a style identical to the first-person shooters in video games. After a while, the camera is pushed back and the character is revealed to be a woman, while the video game aesthetics remain, as a third-person action this time. After the ending of this scene, and a disorienting cut including a flashback, we watch the main heroine escaping a room she was secluded in, and some seemingly surrealist scenes occur, where she has to pass through a room where women practice ballet, another where they act, and another where they put their make up on. In this sequence, the film transforms into yet another video game, this time in the category of surviving horror. A while later, we start to learn about the real story of Sook-hee, the wife of a criminal who trained her to be a killing machine and left her pregnant. Now, the girl has to work for the government's secret service as an assassin, for ten years, in order to avoid them having her and her daughter killed. Up to this point, the action is frantic in the most elaborate way. Violence, martial arts, street fighting, guns and knives, and an exceptional combination of Park Jung-hun's cinematography, Heo Sung-mee's editing, and Koo Ja-wan's sound make for one of the best action sequences ever to appear on cinema. This greatness continues to the rest of the action scenes in the movie, that include car, bus and motorcycle chases and fights, and scenes occurring in places that range from privet clubs to the outside of the buildings. all of these are presented through another great combination of films that seems to feature the aesthetics and tactics of "Chocolate"and "The Raid", and the aesthetics of "A Bittersweet Life" and "I am a Cyborg, but that's Ok", at the same time, with the latter deriving from the way Kim Ok-bin plays Sook-hee in the action scenes. 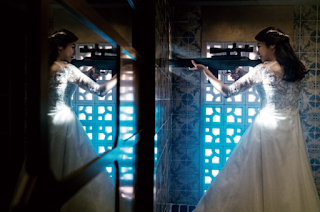 However, and this is one big "however", the film's rhythm falls very low during the hour or so where we learn the true story of "The Villainess", and the blights that still torment her life. Another combination of films, this time including "La Femme Nikita" (which will be forever mentioned when the theme of the female professional killer comes up) and "Kill Bill", keeps the story interesting, although a bit extreme at times. However, Jeong Byung-gil does not avoid the reefs of the heartbreaking romance and the melodrama, where the evident effort at sentimentalism makes the majority of the parts between the action scenes almost tiring. Evidently, if one wants to shoot a blockbuster in Korea, he has to include some dosages of melodrama, but in this case, they seem completely misplaced compared to the rest of the production's aesthetics. 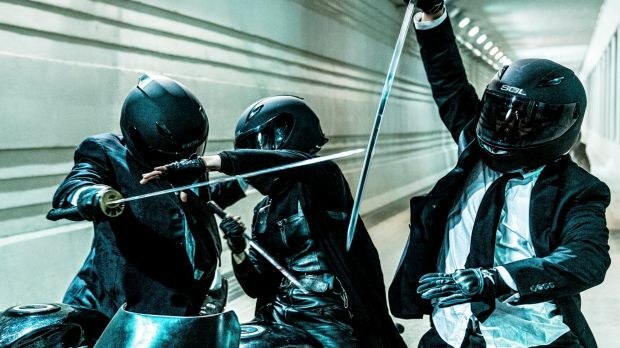 On the other hand, Jeong Byung-gil has the wisdom to interrupt them with a few well-placed action scenes, some of which even border on the style of 70's Japanese exploitation, with the scene in the privet club being the highlight of this tendency. "The Villainess" is so much more than an action flick, particularly through its production values, acting and directing on the action scenes. Nevertheless, my feeling is that this could have been the greatest action movie of all time, in the most generic interpretation of the term, if it lacked the amount of melodrama in it, which would, additionally, make the duration a bit less than the 129 minutes of the particular cut. On the other hand, the actions scenes are definitely among the best ever witnessed on cinema. Cinetic Media will release "The Villainess" August 25th.